Amazon sale will happen from April 11 to April 13 and there will be discounts, bundled offers and more. 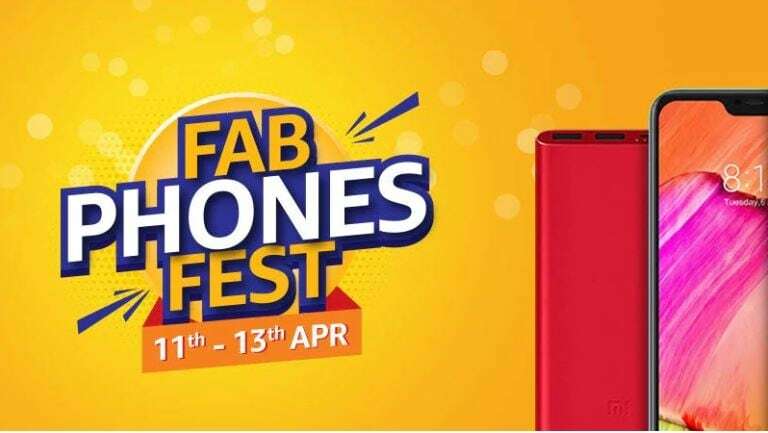 Amazon's Fab Phones Fest has returned again with loads of offers on popular smartphone brands such as OnePlus, Apple, Xiaomi, Realme and more. The sale will happen till April 13 and there are discounts, bundled offers and more on smartphones and accessories. Here are some of the best offers for you. Coming first to the main attraction which is the OnePlus 6T (Review), Amazon says that it will be offering the lowest price ever for the device. Until 13 April, customers will get flat Rs 3,000 off on the base, 6 GB RAM variant and flat Rs 4,000 off on both the 8 GB RAM variant with 128 GB storage, as well as, the variant with 256 GB of storage. On top of that, there will be a 10 percent Instant cash discount for customers using HDFC Bank Debit, Credit Cards. The cashback offer can also be availed by customers choosing to buy the phone on EMI. Apple's iPhone X (Review) is also said to be offered on a discount, and is being offered for Rs 73,999. It has mentioned that the device will come with a no-cost EMI option for up to 9 months and there will be extra discounts for HDFC card users. Xiaomi's Mi A2 is being offered for a discount of 31 percent at a price tag of Rs 11,999. LG V40 is being sold with an exchange offer of up to Rs 10,000. Honor phones are also available for sale with the Honor Play (Review) currently on sale at its lowest price of Rs 13,999 and Honor 8X also available for Rs 12,999. Amazon has not given specifics but has said that discounts of up to Rs 8,000 will be offered on phones. Oppo F11 Pro (Review) is being offered for an extra exchange price of Rs 2,500. There is also a deal on the Realme U1 (Review) with the phone being offered for Rs 9,999 down by Rs 3,000 from its original price. Apart from all the discounts, there will be bundled offers on smartphones such as total damage protection plans and more. Your dream of owning a OnePlus 6T has never been closer to coming true!